Shoko Ohta was born in Kobe in 1930 and became the third generation in her family to become a fine art painter. Her arts education was conducted by two generations before her and included strict instruction in the traditional methods of nanga and yamatoe ink-wash painting by her father, Shutei Ohta, her great aunt, Shutei Ohta and the great master, Nampu Katayama. 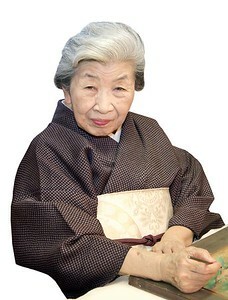 Shoko-sensei, as she is affectionately known by her students, has educated and motivated more than ten thousand students in this traditional art form over the past sixty years. Many of her students were introduced to her through the Ministry of Foreign Affairs and through various embassies. Her artwork has been selected on multiple occasions for greeting cards by Unesco and Refugees International and has been commissioned by government officials for gifts to other nations. Suiko Ohta, daughter of Shoko Ohta, was born in 1962 and is a fourth generation Japanese fine art painter. Since the Edo period (1603-), her ancestors were calligraphers to the Shogun. She is an accomplished and dynamic calligrapher as well as a painter employing traditional Japanese methods and materials. 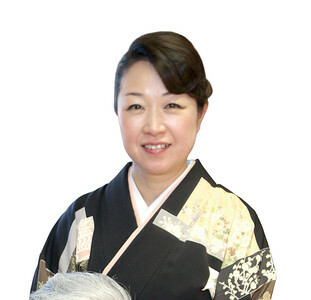 Suiko-sensei studied in Switzerland and the USA for two years, extending her experience with foreign cultures. During that time, she rediscovered her fascination for traditional Japanese culture. Her paintings are characterized by brighter colors and more freedom of expression than is typical of traditional Japanese works. She strives to depict a moment in time whether it’s the morning dew, the interplay of light and shadow or the effect of wind rustling amidst the leaves. Like her mother, she has taught and promoted classical Japanese painting to Japanese and foreigners alike for more than thirty years. Her internationally infused background allows her to understand and appreciate different cultural sensibilities. As a result, her teaching includes not only Japanese traditional painting techniques but also traditional Japanese culture.